Professor Osburg’s research is broadly concerned with the relationship between market economies and systems of cultural value, affect, and morality. From 2003 to 2006, he conducted ethnographic fieldwork with a group of wealthy entrepreneurs in southwest China, examining practices of network building and deal making between businesspeople and government officials. Networks of elite entrepreneurs and state officials have exerted increasing dominance over many aspects of Chinese commerce and politics since the start of economic reforms in the late 70’s. Prof. Osburg examined how these networks were forged and maintained through ritualized entertaining and the informal moral codes through which they operated. 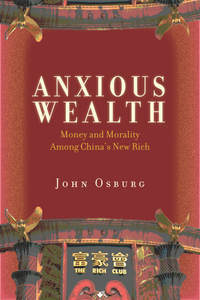 His book, Anxious Wealth: Money and Morality among China’s New Rich, examines the rise of elite networks in China and documents the changing values, lifestyles, and consumption habits of China’s new rich and new middle classes. Anxious Wealth also examines changing gender relations in Post-Mao China and the ways in which money and material wealth intersect with ideologies of love and feelings in people’s social, marital, and romantic relationships. In addition to his book, Prof. Osburg has published articles on masculinity, consumer culture, political corruption, state capitalism, and organized crime in contemporary China. In 2018, Osburg was awarded a two-year Andrew Carnegie Fellowship which will support a project titled, “Spiritual Crisis and Moral Transformation in Post-Mao China.” This research will examine the emergence of new forms of spirituality and religiosity in urban China, with a particular focus on the growing numbers of Han Chinese practitioners of Tibetan Buddhism. The project will consider the ways in which these new forms of religious belief engender broader transformations in Chinese society: How will this spiritual turn among affluent Chinese, which has emerged right as China is poised to become an economic and political superpower, affect their political attitudes, philanthropic practices, environmental consciousness, and social activism, and how will this transformation impact the world beyond China? Prof. Osburg’s research has been supported by the ACLS, The Henry Luce Foundation, the Chiang-Ching Kuo Foundation for International Scholarly Exchange, the National Science Foundation, the U.S. Department of Education, the Social Science Research Council, and the Wenner-Gren Foundation. Prior to coming to Rochester, Professor Osburg was a Postdoctoral Fellow in Chinese Studies at Stanford University. While conducting his field research in China, he endured a brief stint as the co-host of a variety show on a provincial television station. 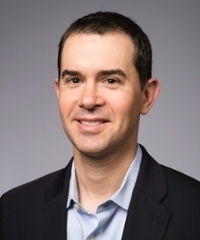 In addition to his research and teaching, he is currently a Fellow of the Public Intellectuals Program at the National Committee on U.S.-China Relations. Anxious Wealth: Money and Morality Among China's New Rich. Stanford University Press, 2013. 2015. "Morality and Cynicism in a Grey World." In Irony, Cynicism, and the Chinese State. Edited by Hans Steinmüller and Susanne Brandtstäter. Routledge. 2014. “Can’t Buy Me Love: China’s New Rich and Its Crisis of Values.” Foreign Affairs. September/October 2014: 144-149.